Skin Care by Designer and Salon Beauty Brands from Slapiton. This Skin Care section contains a comprehensive selection of designer skincare from renowned brands such as Clarins, Ren, Kinerase, Elizabeth Arden and Lancome for both men and women. These skincare companies produce high quality products that aim to keep your skin luminous and youthful. Choose from cleansers, toners, exfoliators, moisturisers and age control products. Exfoliators are an essential part of keeping your skin healthy, especially as you age and skin cells build up on the skin. 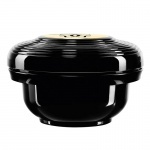 When used in conjunction with a mask they create a supercharged facial at home. Skincare technology is innovating and improving all the time. 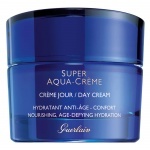 The simple moisturiser is now capable of resolving many skincare issues in one single step. Choose from our extensive list of moisturisers to solve your skin complaints. 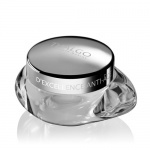 The eye and lip area are the first areas to show damage and ageing. The skin around these areas is much thinner and has less sebaceous glands leading them to become drier and more vulnerable to the ravages of time. 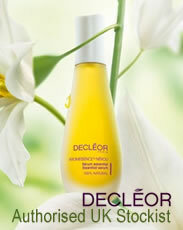 Serums and Oils have advanced incredibly since we began in 2001. With delicate and light textures and incredibly powerful technology within, they can counter most skin problems and even make your moisturiser work harder! It can be seasonal, or due to stress and health but skin sometimes look lack lustre , drained and without a youthful bloom. Our selection of advanced radiance boosters aim to cure this common problem in a couple of simple steps. BB Creams have been created as an all in one facial product and are a moisturiser, radiance booster and light foundation. Like a Primer BB Creams can be used under makeup, helping improve its performance whilst treating the clarity of the skin underneath. 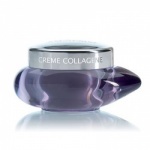 As we age the skin looses its collagen content and elasticity. This causes it to feel like it has less bounce and tone. 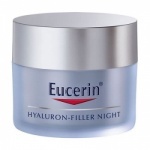 Skin also becomes more vulnerable to pigmentation, wrinkles and dryness. 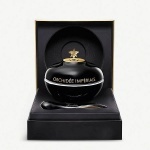 Put the spring back into your skin with these anti-ageing products. There are a variety of factors that can make skin breakout in blemishes or sore Acne spots. Skincare technology has developed incredibly over the years and now seeks to control the hormonal triggers in the skin that make it produce too much oil. Eczema is an increasingly common skin problem. Known to be triggered by allergies it can be very difficult to treat but very painful and embarrasing for the person. Skincare has developed to try and calm the skin and stop it becoming irritated, providing much needed relief to sufferers. Our environment and lifestyles are increasing the number of people suffering from sensitive and reddened skin. Skincare now treats the sensitivity from deep within the skins surface to calm and care for this delicate skintype. Dry skin can be unsightly and painful and can afflict people of every age. Thick gloopy moisturisers and cleansers that sit on the skin are now long gone and technology has advanced to such a stage that dry skin can be resolved with light and fresh skincare items. As the atmosphere becomes thinner pigmentation has become more of an issue and can happen develop with minimal sun exposure. Skincare companies have now developed highly advanced and effective technologies to combat the source of the problem. We often forget about the Neck & Decollete area but it is essential that we keep it hydrated and protected if we wish to maintain youthful looks. 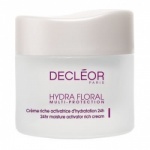 This section has some of the best products to combat slack areas and give the area increased elasticity and radiance. 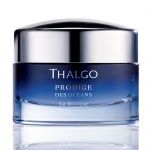 Thalgo Prodige des Oceans Mask is the first marine mask treatment for absolute perfection in complexion, skin tone, vitality and radiance. 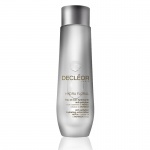 An exfoliating cleanser with microbeads of Jojoba that gently yet thoroughly buffs away make-up, dirt and dead skin cells. A gentle facial wash formulated to leave sensitive skin thoroughly cleansed, without irritation, or discomfort.